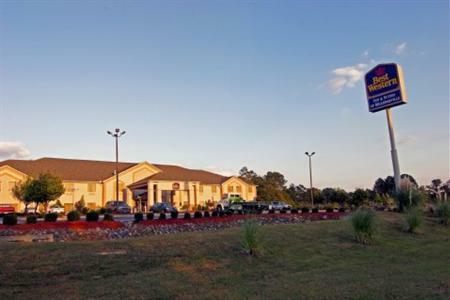 The Comfort Suites hotel is conveniently located just two miles from the Milledgeville Mall. This Milledgeville hotel is minutes from Lake Sinclair, the John Marlor Arts Center, the Lockerly Arboretum and the Old Governor's Mansion. Milledgeville's Trolley Tour is the best way to take in the town. A drive through the landmark historic district features many local points of interest. Several antique shops and specialty stores are waiting to be explored. A variety of restaurants and entertainment options are located in the surrounding area. 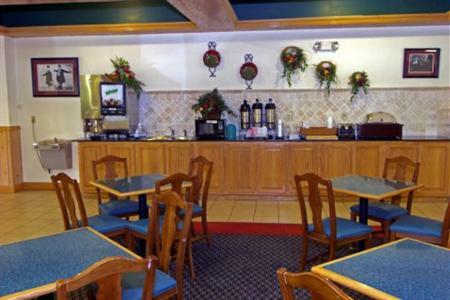 Guests of this Milledgeville hotel are invited to enjoy amenities and features like: Free deluxe continental breakfast. Free wireless high-speed Internet access. Free local calls. After a busy day, relax in the indoor heated pool. Be sure to take advantage of the hotel's on-site exercise room. Business travelers will appreciate conveniences like computer hook-ups in all rooms, the business center, and access to copy and fax services. The meeting room accommodates up to 30 people for most events and business functions. All spacious suites come equipped with microwaves, refrigerators, coffee makers, irons, ironing boards, voice mail and cable television. Handicap accessible and non-smoking rooms are available. The Comfort Suites hotel is the perfect destination for business and leisure travelers visiting the Milledgeville area. Make your reservations with us today.